Popular Dance Competition Dance Invasion Comes Back to Bearspaw! 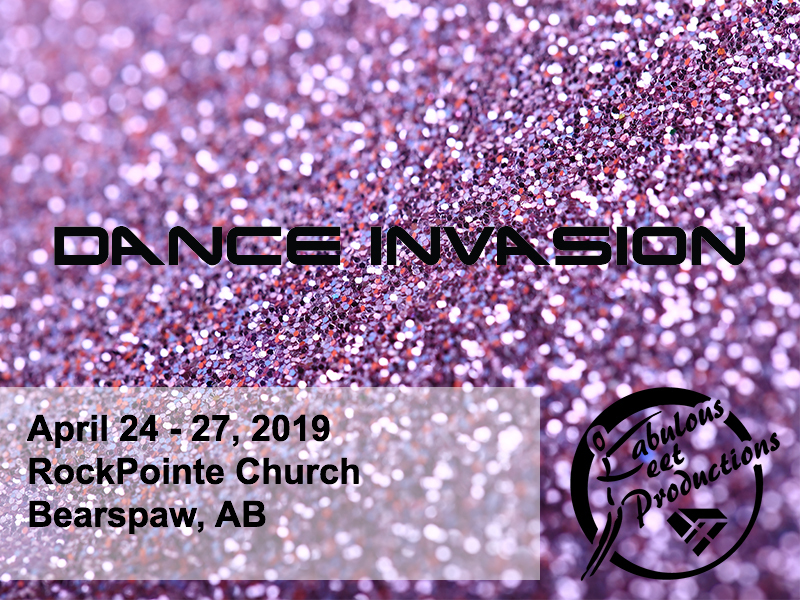 One of the largest dance festivals of Fabulous Feet Productions is returning to the spectacular Rock Pointe Church in Bearspaw, Alberta. As one of our largest events, this event will meet the needs of every dancer, regardless of age or level of dance. This year, we will also be hosting competitive Dance Invasion festivals in Medicine Hat, and Regina. If you’d like to find out more about this dance events across all the locations, please find the information page here. We are also hosting our Dance Evolution event in Bearspaw April 11-14, 2019. Dance Invasion is festival based event, that is valuable to both recreational and competitive studios. All dancers are placed in categories based on age, discipline and years of training, an elevated level is calculated for all dancers training 9 hours or more a week. Each dancer is presented with a medal placing, depending on the mark they receive, in addition the awards for recognition are presented at each adjudication. The awards presented are, Outstanding and Most Promising as well as Outstanding Choreography in all group categories. In all solo adjudications, the Outstanding Soloist also receives a cash scholarship. The adjudications are held every 30-40 minutes, allowing our professional judges to positively critique the dancers. The top 5 marks in group categories in each level, also qualify for our Xtreme Dance Challenge dance off, which is held at the end of each event for trophies and cash scholarships. All routines receiving a standing of high silver or higher qualify for our Fierce Dance Finals which are held in Penticton BC, July 11-14, 2019. Come and join us for a positive weekend of dance and so much more.